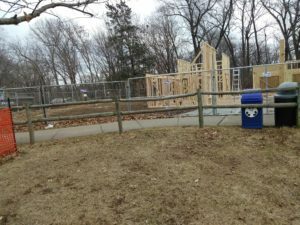 Temporary fence keeps Antioche Park open during construction! Today’s temporary fence is located at Antioch Park in Mariam, Kansas. The Kansas City suburb is located just south of Kansas City, Missouri in Johnson County, Kansas. Antioch Park is a 44-acre park featuring a playground, two fishing lakes, tennis & basketball courts, trails and shelters. 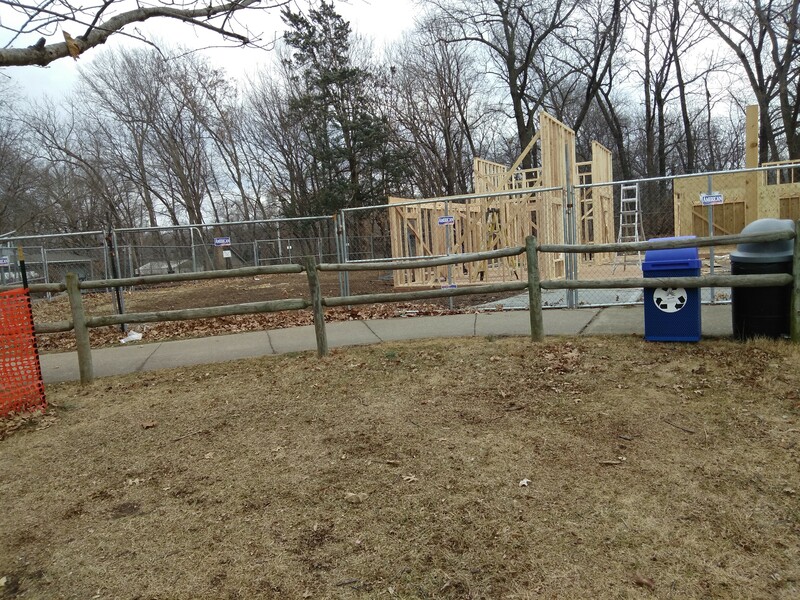 Over the past year, AmeriFence Corporation has provided temporary fence for construction of new restrooms, shelters and other attractions. Antioch Park attracts visitor all year around. 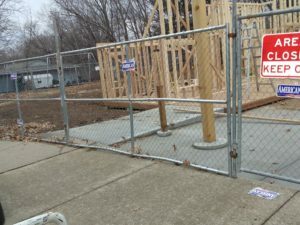 Temporary fence provides safety for visitors and allows the park to be open during construction. AmeriFence provides temporary fence in Johnson County Kansas, all of the Kanas City Metro Area. Including DeSoto, Bonner Springs, Leavenworth, Lawrence, St. Joseph, Lee’s Summit, Blue Springs, Grain Valley, North Kansas City, Liberty, Leawood, and Olathe. Contact us today for a free quote!